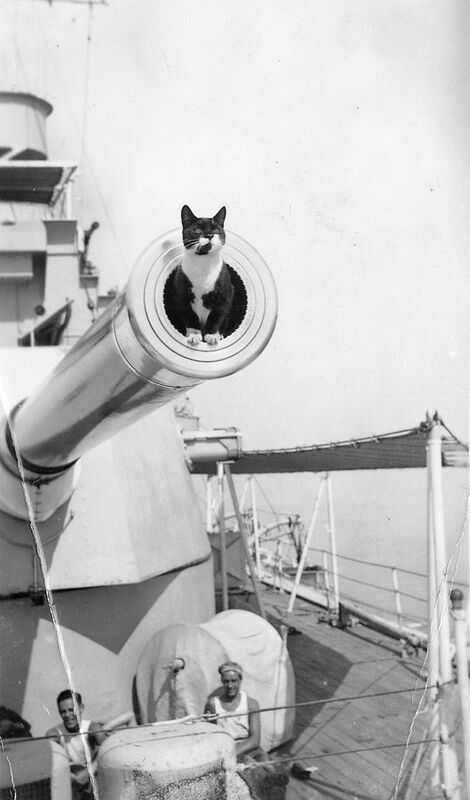 Ship's cat pictured inside an 8inch gun barrel on board the cruiser HMS Cornwall (launched 1926) whilst stationed at China, 18th February 1933. This Ship's Cat on HMS Cornwall Art Print is created using state of the art, industry leading Digital printers. The result - a stunning reproduction at an affordable price.